This past week, those on the Northside have inspired us with their courageous resistance to police violence. On Friday, we will take to the streets as a demonstration of solidarity with their struggle. The Southside is no stranger to police violence either, so we will heed the unspoken call of the Northside rebels and march on the police station. 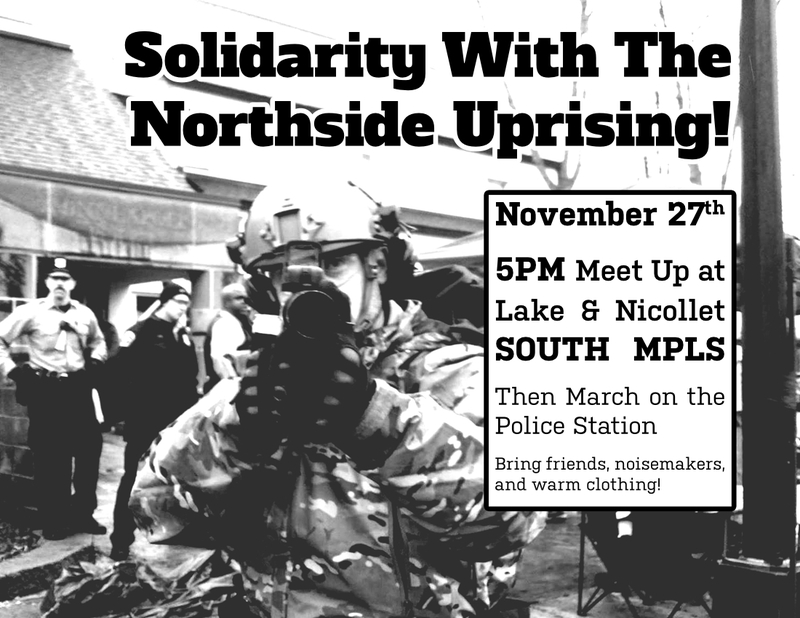 Meet up at 5pm at Lake & Nicollet! Bring friends, noisemakers, and warm clothing.